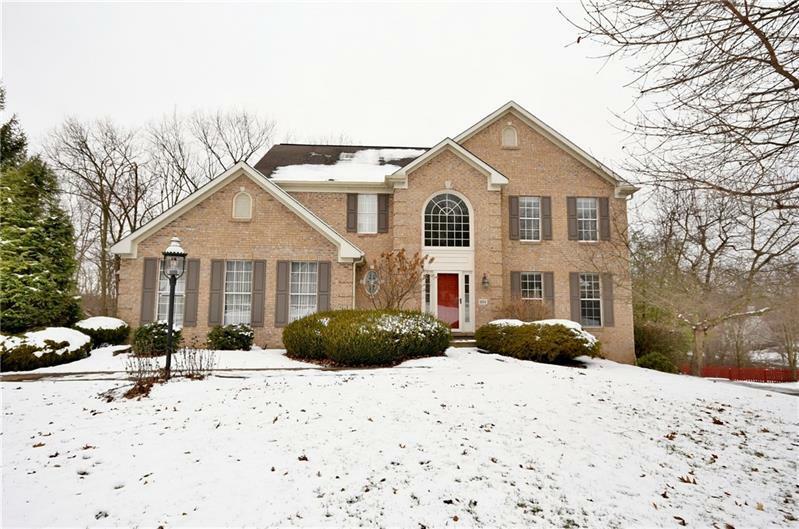 Wonderful sought after location and Franklin Ridge neighborhood. This well maintained and updated beautiful home with side entry attached garage and a level driveway, highly desirable features. Home is boosted with elegant trim work with much charm and character. A 2 story foyer with stylish staircase, very impressive and welcoming. Living room with french door opens to dinning room highlighted with attractive hardwood floor. Gourmet kitchen has an exquisite wood island, granite countertop & stainless steel appliances plus an eat in area, a pleasant area to cook and gather. An adorable deck overlooking private tree lined yard, a relaxing place for cookout and enjoyment. Family room has a handsome fireplace Cathedral ceiling master bedroom with a walk in California closet. Luxurious updated master bath with 2 sink vanities, soaking tub and spacious shower, a place to pamper yourself. Walkout finished basement has a full bath and several sections to accommodate various activities.